When you become a homeowner of the Conrad, you may feel as though you’re on vacation even when it’s just a night home from work. 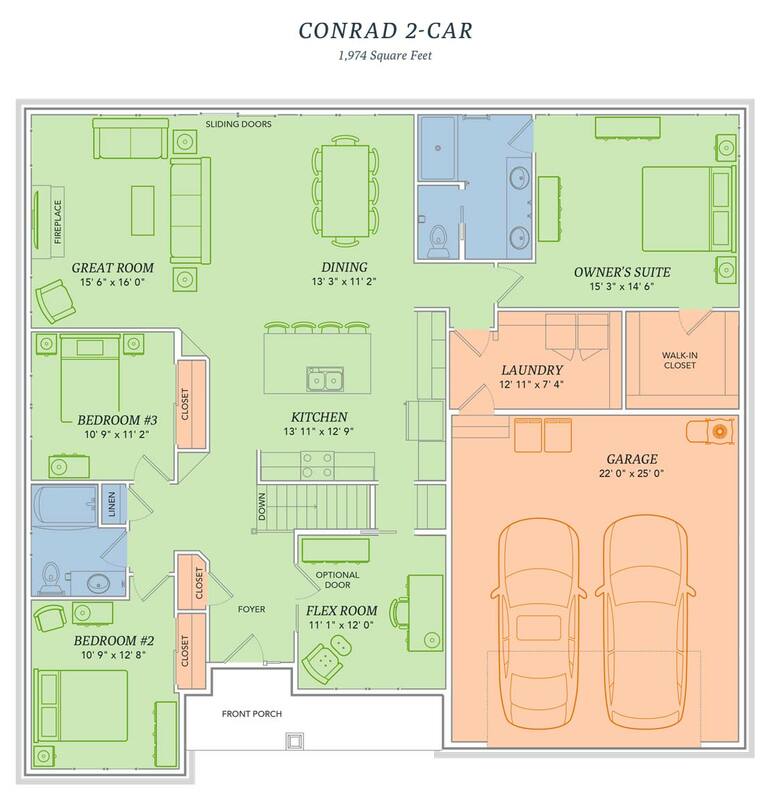 The open and airy floor plan makes everyday life just a bit simpler to take on. After all, doing the laundry isn’t so bad, when you’re just steps away from your favorite bottle of wine on the kitchen island. The Conrad is practical, yet luxurious, and that’s why we love it. We think you will too. To take a 3D Tour of The Conrad, just click here. Flex rooms for formal dining, office, etc.